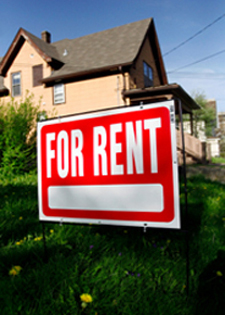 There is a lot of competition out there right now for rental property owners. Newly constructed apartment buildings, homeowners who recently became landlords, and unsold condo units are all competing for tenants—with you. Writing an effective advertisement is the first step to standing out from the competition and attracting tenants. But how do you write a good, effective rental ad? Beyond the number of bedrooms and bathrooms and the rent figure, here are the best items to include in your ad to attract more potential tenants. 1. Include the neighborhood. This will help you screen potential tenants quickly. If your rental is in a high-end neighborhood, most folks who cannot afford to live there won’t bother to call. 2. List nearby amenities. If there is a cozy coffee shop down the block, say so! Same with grocery stores, bus stops, laundromats and parks. Include all the great things about the neighborhood so potential tenants are excited to call you. 3. Are pets ok? Don’t make people ask. You can screen out all the pet owners by stating it clearly: NO PETS. Or welcome pet lovers with PETS OK. Be sure to state any size limitations, whether you accept dogs and cats or just dogs, and establish expectations by stating that “well-behaved dogs” or “pets with great references” are okay. 4. Make them want to live in your rental: if there is a working fireplace that you allow tenants to use, your ad should say so. Higher-end kitchen appliances will be noticed by higher-end tenants. A fenced-in play area will be appreciated by moms and dads, and a security system is a top choice for everybody. The idea is to make the reader’s eyes pop so they call you instead of the next listing! 6. Set expectations. It’s perfectly okay to let potential applicants know that you require an application fee, a credit check, a background check, or thorough tenant screening. In fact, those who will pass all of your requirements will appreciate the care you show for your property and for the neighborhood. It’s another way to screen out undesirable applicants, too. Sometimes a tenant needs to move before the lease is up. In a good rental market, a landlord can find a new tenant without much time or effort. When there are more tenants than rental units, landlords have the luxury of choice regarding allowing tenants to sublet. However, when the rental market has excess inventory and filling vacancies is more difficult, a tenant who wishes to sublease to another person could be doing the landlord a favor. Certainly, the hassles of advertising and showing the rental unit are eliminated—but there are plenty of issues to consider before allowing a sublease. In a sublease situation, the tenant who wishes to move without breaking his or her rental agreement “leases the lease” to someone else, who agrees to uphold the terms of the agreement. The original signer is still responsible for the lease, and the landlord must approve the arrangement. But tenants don’t always seek landlord approval. If you’re receiving rent checks signed by Amy Doe for a unit that was leased to Jane Smith—you may have an unapproved sublease situation. You are under no obligation to accept Jane Smith’s sublease if you did not agree to it. Check with your legal advisor, but you may be able to start eviction proceedings in this case. In this challenging rental market, it might be a good idea to offer Amy Doe a new lease—if she passes your tenant screening procedures first. It is entirely up to the landlord to decide whether to enter into the agreement or evict. As a landlord, you need to know a lot about your tenants, as well as those who have applied and been turned down to be tenants. Credit background checks, criminal background checks, and rental history—all part of thorough tenant screening—make you privy to personal information that could potentially harm these individuals, if ever used against them. In certain states and localities, laws have been passed to protect tenants from landlords who would share their personal financial information, unless the tenant has given prior written consent. This means a landlord would not be allowed to share a tenant’s previous credit problems with a new landlord, or to disclose to a neighbor that the tenant had bounced a check. 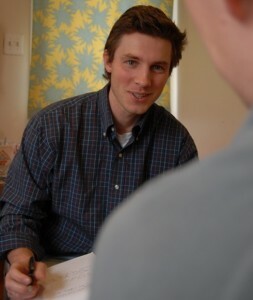 Typical exceptions to these laws concern providing information that is already a matter of public record (although doing so might mean a landlord crossed an ethics line or two), providing information to police (which usually requires a warrant), and providing information about the tenant’s rent payment record. In all other cases, a landlord must protect his or her tenant’s privacy and confidentiality of their personal information. Landlords are often questioned by police investigating crimes on their property; it might seem reasonable that you would be covered if personal information is disclosed in the course of answering police questions, but that may not be true. 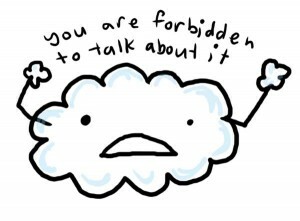 Sharing information you have because the tenant provided it to you or allowed you to conduct a background check is not okay just because it is the police doing the inquiring. Ask for a warrant, or ask your legal counsel before you disclose personal information about a tenant—otherwise you are in danger of being sued yourself! Automatic Rent Collection: Is it For You? Rent collecting is the number one headache we hear from landlords. Lots of tenants, it seems, cannot seem to pay on time. Plus, there’s the time wasted making collection phone calls, picking up rent personally, dealing with checks and bank deposits, bad checks, and visits to the post office. More people than ever pay their bills online. Health clubs have automatically debited their monthly fees from members’ accounts for years. Your tenants probably already pay insurance and car payments automatically every month. Why not offer them a way to pay their rent online, too? Rentmatic is an automated rent payment service that debits your tenants’ bank accounts on the day rent is due, and transfers the funds to your designated account. It’s free to sign up, but they charge a fee of $3.95 for each unit that is on the automatic system (there is a discount for 25 units or more). The company also offers dynamic features like free data storage and an online tenant communication, where tenants can request maintenance and the landlord can email all or selected tenants. And, they offer tenants an incentive to pay online, with a chance to win a $50 prize every month. ClearNow collects and transfers rent payments through the ACH protocol. The service is $14.95 per month, including one tenant, plus $2 per additional tenant. The service sends reminder emails eight days prior to debiting tenants’ accounts, which is done on the first banking day of the month. Three days after debiting tenant accounts, the funds are credited to the landlord’s account. Required paperwork for online rent payment services is minimal; you can incorporate the authorization into your new tenant paperwork easily. Be sure to keep copies of all signed agreements and authorizations in your tenant files. 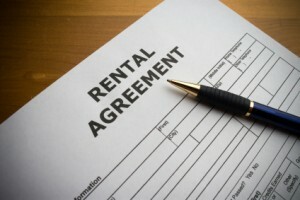 Are you a landlord who routinely offers year-long leases? Are troubling times and less-than-stellar tenant credit checks making you uneasy about continuing to do so? A flexible approach helps in an uncertain rental climate. Now is the perfect time to rethink your procedures, especially if they aren’t working for you as they once did. Take leases, for instance. While a one-year lease might be ideal in a perfect rental world—where tenants have stellar credit, rents are where they should be, and competition is low—they may not work to your advantage now. While it’s reassuring to know a tenant is obligated to rent from you for a year, it can make you nervous to think of a sketchy client on your property for that long. Things could get complicated. In tough economic times, incomes are lower due to job losses; evictions are more common; and credit reports are poorer. These factors, plus a one-year commitment, equal one risky situation. But you can mitigate your risk. As landlord, you get to decide how long the lease term is. If, after you’ve conducted proper tenant screening, a one year lease seems risky, consider offering a six month or month-to-month lease. Only you can decide if it’s better to face empty rental units or offer a short-term lease to an applicant you might have passed on before. But you’re in control and you do have options, which can make it easier to weather a downturn in the rental market. Coldwell Banker, the nationwide real estate firm, released a report on the most affordable college towns for investors. From Syracuse, NY, home of the University of Syracuse, to Athens, GA, where the UGA Bulldogs play, to the University of Notre Dame’s South Bend, IN, the comparison was limited to big football schools and homes of 2,200 square feet, four bedrooms, and two and a half baths. 120 markets were surveyed. The results show that in 62% of the markets surveyed, real estate investors can pay less than $250,000 for homes of this size. Clearly, college towns offer great affordability for rental homes. Plus, the culture and ambiance of a college town makes these markets even more appealing to renters. •	The PAC-10 is the most expensive real estate conference, with an average of $747,180 for 4BR/2.5B/2200 SQ FT homes. •	Most affordable is the Mid America conference, where the average comparable home costs just $182,222. •	The ten most expensive college markets have average home prices ranging from $568,317 in Seattle, WA (University of Washington) to $1,489,726 in Palo Alto, CA (Stanford University). •	If those prices are too rich for your investing pocketbook, look to the middle portion of the US, where the ten least expensive college towns in this survey lie: Akron OH, Muncie, IN, Ann Arbor, MI, Ypsilanti, MI, Fort Worth, TX, Tulsa OK, Denton, TX, Houston, TX, Bloomington, IN, and Kent OH. Average prices for the four-bedroom comparison home in these markets are in the $122,000 — $166,000 range. The president of Coldwell Banker called college markets a “best-kept secret” of the real estate industry. And, real estate pros have been investing in them for years. If you’re looking for your next investment opportunity, a rental home in a football-friendly college town just might be it! Where are all the tenants? Some are moving back home with mom and dad. Or returning to school and living with relatives. Others took in roommates to help pay the rent, or are staying with friends temporarily. These are some of the reasons tenants are out of the rental market, causing the U.S. apartment vacancy rate to rise to 7.8% in the 3rd quarter. This 23-year high occurred despite landlords nationwide lowering rents. Reis, Inc., a real estate research firm that published the vacancy report, stated that the peak has not yet been reached; they expect the number to climb above 8% in the coming months. Nervous landlords are looking toward the traditionally slow 4th quarter with little hope for improvement, which is expected sometime in 2010—perhaps as soon as the second quarter. While vacancies increased, rents have declined for four quarters in a row—which may have kept the vacancy rate from soaring even higher. Landlords have responded quickly to market conditions, including over supply, and lowered rents to keep tenants. 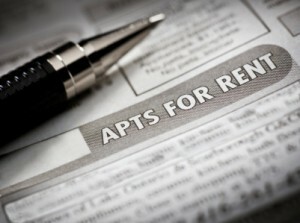 Rents are expected to stay soft for at least another year. Oversupply will continue to be a contributing factor to the vacancy problem. 73,000 apartment units have come on the market in the first three quarters of 2009, and 42% of them remain vacant, according to Reis. The bright spot is that new apartment construction has slowed down to a trickle, so eventually, demand will catch up to supply. As unemployment hovers near 10% nationwide, and benefits start running out, rent money is disappearing, too. Simply put, folks with no rent money cannot be tenants. Landlords will need to continue aggressively seeking out new tenants to fill vacancies, offer incentives to good tenants to get them to stay, and hold on until the job market improves—when there are more people with money to spend on housing. Especially in a down economy, we recommend you screen all tenants as part of your application process. 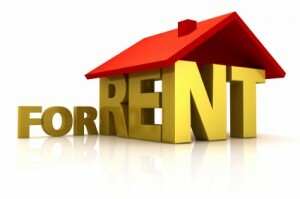 For more landlord resources, including forms and information on tenant screening, turn to E-Renter.com. .
6. Most important: no loss of rental income! 4. Tenant’s job situation and/or income could change in between lease signing. Even if you are not 100% enthusiastic about 100% of your tenants, those who pay their rent on time and cause little trouble are like gold—and never more so than in the soft rental market we’re in now. It’s usually in the best interests of both parties to renew the lease. Since rental agreements without renewal clauses expire automatically at the end of lease period, it’s a good idea to approach your tenant at least 60 days before that date. Ask what his intentions are, and offer to write another lease effective when the current one expires. Research comparable rents in your area—if your rent is within the average range, you may not be able to raise the rent when the tenant renews. Inventories are very high in some areas, and tenants are more in control than in many years. Stay competitive to keep your tenants. If you must raise the rent, offer an upgrade to your tenant: new carpeting, new paint, upgraded kitchen counters—whatever your rental unit needs. Now could be the time to invest in upgrades in order to keep the unit filled—and you could actually save money if you don’t have the expenses of turning over the rental unit to a new tenant—which could take months to find! Renewing leases is much easier and cost-effective than finding new tenants—so keep the communication open with your tenants, find out what they want and try to accommodate them. Of course, if you have a problem renter, don’t let fear of the rental market or the economy keep you from finding a more solid tenant!